With 1.3 billion people, China has become a major force in the global economy. They seek to raise the living standards of their people, which means continuing to develop new energy resources. Since most of their population lives in the east, and most of the energy resources are in the west and north, China has become a world leader in developing long-distance high-voltage transmission. This is especially true for accessing abundant wind from Inner Mongolia and the solar power from the Gobi Desert. 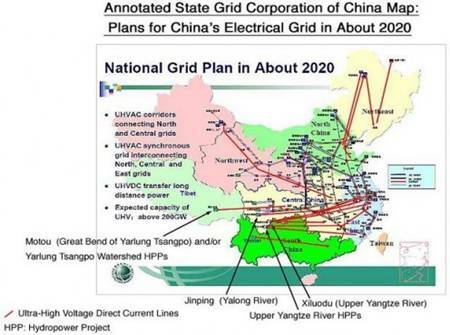 In GENI’s research on the “Renewable Energy Potential of China,” we found sufficient potential to power all of China’s needs if they chose that path. With China being the world’s largest emitter of greenhouse gases, GENI continues to push this solution: develop your renewable energy resources where they are abundant and link them to demand centers using high-voltage transmission. This same message applies to the U.S., India, Russia and all other nations. June 5th is the United Nations World Environment Day with the theme, “Green Economy, does it include you?” On the same day in San Diego, we are hosting an event, “Buckminster Fuller: Lessons Learned and Impacts Today,” with several co-authors of the new book “A Fuller View.” It will be a day of both vision and action. We invite you to join us! We invite your support of our work. It’s easy with our secure Support page.